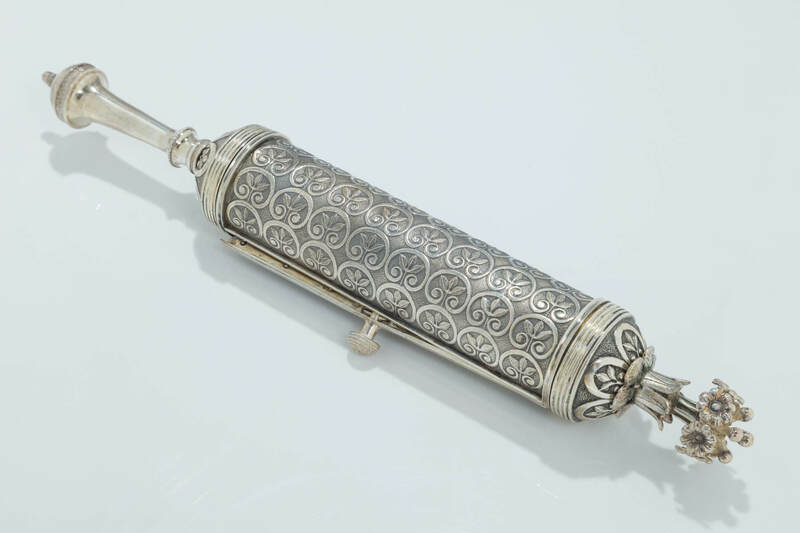 THE GROSS FAMILY SILVER MEGILLAH CASE WITH FACSIMILE MEGILLAH. In original presentation case. Silver case decorated with repeating designs and toppe by bunch of flowers. The megillah, a copy of an illustrated 18th century example from the collection of William Gross. With original accompanied book. 10.5” long.